The all-in-one, enterprise class, Web Security hardware solution, CyBlock Appliance, now available with local logging and reporting, can be easily paired with a CyBlock Cloud account as a Hybrid deployment, extending Web filtering and monitoring to your off-premises employees! Get instant real-time information and proactive, reliable control over your network’s Internet users. CyBlock Appliance, the leading, turn-key, gateway appliance solution for Web-access Security, provides ease-of-use setup, configuration, and management at your fingertips! And now, you no longer have to worry about any remote logging that would require an external server or appliance. CyBlock Appliance now supports local logging and reporting! 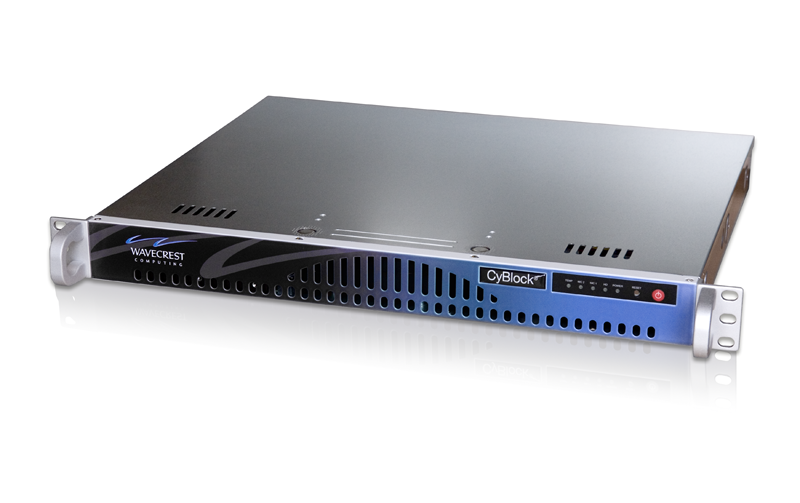 The benefits of CyBlock Appliance are many, and your administrative choices are extensive. With minimal time and effort, the Appliance is up and running. Choose to use the Appliance as a proxy to monitor all your selected HTTP/S traffic, or inline, “transparent” to add the control and monitoring of P2P, torrents, IM, and e-mail, as well as public access Wi-Fi areas. Either configuration gives you granular controls, drill-down reporting, filtering, real-time monitoring, bandwidth throttling, as well as reducing risks of malware and data loss–your options are endless. CyBlock Appliance will proactively support all your organization’s Web-use needs fast and efficiently, without the need for constant administration. Remote or mobile users? Safeguard all networks and employees in the organization. Add CyBlock Hybrid! Using CyBlock Appliance and CyBlock Cloud, the Hybrid deployment secures your additional remote and mobile employees so there is no need to route traffic back to the main office. All policies are managed from a single interface and sync automatically. Free up local server bandwidth and be assured that Web filtering for these users is occurring in the cloud with CyBlock Hybrid!